The world is too big to stay in one place, and too short to do just one thing whole of your life. Education is the most powerful weapon to change the world. The world is a book and those who do not travel, read only a page from this book. Travel and change of place imparts new vigor to the mind. Studying abroad is the single most effective way of changing the way we view the world. It’s more expensive not to study abroad. So, do not wait for your ship to come in, just swim out to it and you will go places, Vibhav Parikh is all set to give you one stop solution for all your ‘study abroad’ queries. 1) It’s great having you with us. Tell us a bit about yourself. I am Vibhav Parikh, Founder of Fox Counsel and I am an investment professional. I am a Management Graduate in Bachelor’s of Management Studies (BMS) from Mumbai University with a major in finance. 2) What is Fox Counsel all about? Fox Counsel is an online calculator that helps students to estimate the cost of studying abroad and gives them a specific break-even period. 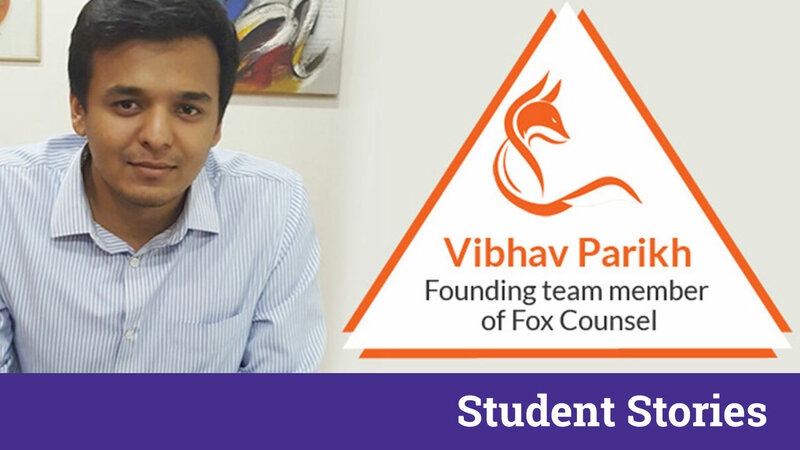 Fox Counsel is an unique venture and is built to ensure that students in India and across the world can make correct financial decisions. 3) So, how does it work? Fox Counsel has over 5000 calculations. User has to input six primary parameters. Year in which the user would break-even. User can change housing/food cost to his/her requirements. 4) Who are your target customers and their profile? According to UNESCO statistics there are 30 million students who visit abroad for study purposes. Fox Counsel has a potential target reach of 50 million people a year. Counselors also come in the realm of our target. 5) Share with us your branding strategy. 6) Share with us how do you incorporate Venn business model? 7) Tell us about various accomplishments Fox Counsel has made so far. Fox Counsel has established itself as a real problem solver on Quora. It has answered over 100 different problems from students across India and received 50,000 views till date. We would like to connect with students who would see our websites and help others in need indirectly. We always strive to work hard and right. This Dynamic Duo Is Bridging The Education Gap In India- StudySid Changing the Education System of India !